We've seen plenty of the recent razzle dazzle in the mobile phone market revolving around tech-loaded touchscreen smartphones like the HTC Desire and their eye-catching budget feature-phone stablemates like the Sony Ericsson Vivaz. By contrast, handsets that are marketed primarily on their eco-friendliness have, so far, been a relatively unimportant sideshow. And the few choices that have been available have mostly been worthy-but-unexciting designs with modest features, like the Nokia 3110. 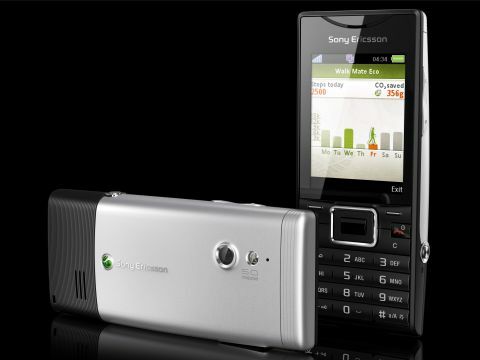 Sony Ericsson has taken a step towards adding a bit of eco-appeal to its range with the release of the Elm. The Sony Ericsson Elm is part of Sony Ericsson's new GreenHeart portfolio of mobile phones that major on their green credentials. This includes CO2-light production – it's made from recycled plastics and is free from hazardous chemicals – and comes with a low power consumption charger, reduced packaging, some eco-aware apps and an e-manual on the phone instead of a printed guide. But instead of a low-key set of features and a bland design, Sony Ericsson has produced a handset that has distinctively curvy bodywork that chimes with a credibly-attractive features run-down. Catering for eco-conscious mobile buyers who don't necessarily want a bare-bones austere phone, the Sony Ericsson Elm arrives with built in Wi-Fi and A-GPS technology, HSPA high-speed mobile network data capability, a 5-megapixel camera and a full complement of multimedia features. While it doesn't offer touchscreen manipulation, the Elm does offer plenty of functionality for a conventional candybar handset – and there isn't a huge premium to pay for its eco-awareness. It's initially available on pre-pay from between £120-£200, depending on network and retailer, or is free on contract deals. From the front, the Sony Ericsson looks like a regular kind of candybar handset, with an unassuming matt black front panel. The side and rear view is where you get the bodywork flourishes – it has an elegant convex curve bowing along the silver back panel and edges that give it a smooth, classy feel that works well with the workmanlike front furniture. Measuring up at 110 x 45 x 14mm at its thickest, and weighing 90g, the Elm feels slim in-hand and pretty lightweight. The Elm is kitted out with a large numberpad with rounded convex buttons that are tidy to look at and easy on the fingers. Its display is an average Sony Ericsson mid-level 2.2-inch QVGA (240x320 pixels) 262K-colour LCD, so is smaller than you'll find on the average touchscreen device, but it's adequately bright and clear enough without really wowing. The buttons are familiar Sony Ericsson, with an efficient rectangular central navigation D-pad flanked by more comfortably curved buttons. There's a pair of softkeys, Call and End buttons plus a Clear key, and an Activity Menu shortcuts button that fires you straight into a tabbed list of useful shortcuts to functions and apps (such as Bluetooth and Wi-Fi), browser bookmarks and other information. Although it comes with decent music player software, Sony Ericsson hasn't built in a standard 3.5mm headphone socket on this model, relying on its usual proprietary multi-connector socket on the side. That means the plug in connector for the in-box earphones is relatively bulky and awkward compared to other more widespread connector alternatives – and it's not so easy to upgrade to higher quality headphones. A camera button is included on the side, along with volume keys, while the camera lens peeping out of the back panel is accompanied by a small LED flash. A quick flip open of the back cover reveals a MicroSD slot – cards of up to 16GB can be slipped in to supplement the 280MB of onboard storage. No card is supplied in-box, however, and the back panel can be fiddly to take off.